Where are the explorers? Why are all the bike racks empty, and why are there so few bike racks? Why don’t I see kids when I go on a hike in the woods? Where are the handmade forts in the little patches of woods in the suburbs? Where are the neighborhood kickball games or the big group of kids playing capture the flag? Where are the kid fishermen? Why do the playgrounds have so few kids, with just as many adult supervisors as kids? Are parents too afraid to let kids play outside or walk to the store? Are they worried about child abduction? Are they protecting them from allergies to grass, trees, pollen, etc.? Are they worried that the sun will give their kids skin cancer? Or is it the electronic devices? Perhaps kids are so consumed with video games, TV, YouTube, and social media that they don’t even look out the windows, much less leave the house for a few hours of play. 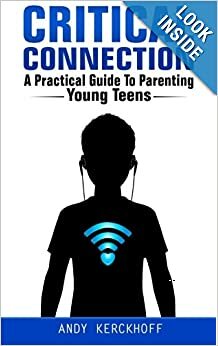 Are kids addicted to wi-fi? What happens when the internet connection goes down for a few minutes? What would happen if mom and dad stopped paying the internet bill? Would kids run outside to play, or would they pitch a fit about their civil rights being violated? Perhaps all of the above are true. Perhaps it’s even more complicated. Nevertheless, it is clear to me that kids like being indoors and parents like having them safe nearby. What’s so great about being indoors? Comfort – No matter how bad the weather may be, it’s always 75 degrees with low humidity indoors. There is no rain, snow, ice, wind, or sun to get hurt by. No sweat. Plenty of comfy sofas, refrigerated beverages, and tasty food on demand. What’s not to like? Home is easy and very comfortable. Cleanliness – Inside there aren’t any bugs, spiders, or any other animals or insects that might cause anxiety or sting. There’s no dirt, dust, mud, pollen, or rocks that can scrape a knee. No tree branches with protruding leaves or pine needles. No stains to remove, especially on the exalted new shoes. Outlets – All the good stuff plugs into the walls or runs on batteries. If your battery dies, you can immediately recharge it in an outlet. Endless energy for all the toys. Screens connect to the outlets. Duh. Wi-Fi – It’s the lifeblood of all entertainment and social life. Without wi-fi… OMG, let’s not go there, please. Yes, the outdoors is too hot, too cold, too wet, too dirty, too difficult, too dangerous, and too boring compared to all the creature comforts and electronic entertainment indoors. Playing a video game or watching a movie is a mere simulation of actual adventure. It is a stylized version of a fantastic reality. It is an escape. In moderation, it is terrific. Kids should escape into other worlds through books, movies, musicals, songs, and video games. But it’s the moderating that is missing. It’s so fun and so easy and so safe – for kids and parents – that it’s all they want to do. So, it’s up to us, the adults who know better, to regulate the time they spend indoors in their fantasy world. We need to help them grow up better than the screens will allow. “Where the wild things are” is where the wi-fi is not. Kids have to unplug to get some real adventure and to learn some valuable lessons, out there, beyond the screens. Get the kids outdoors one way or another. Get them in nature, not just on a sport field. Get them in the woods, on a lake, or anywhere there is dirt, grass, rocks, trees, water, flowers, animals, and birds. The zoo, the playground, or the pond. Send them out there and give them a few ideas to start with. Give them a camera and tell them that they have to come back with some cool pics in order to get dinner. Get the kids exploring in the woods with old jeans, grubby shoes, and a flashlight. Fishing in a pond with a friend. Swimming at the pool with some buddies. Playing hide and seek in the neighbor’s backyard. Hunting with Grandpa Joe. Building an awesome treehouse with dad. Hiking with mom and her friend. Flying down the hill on your bike like an eagle (an eagle wearing a helmet, of course). Waterskiing with family friends. Camping in the backyard all night. Catching fireflies to examine their magical glow. Climbing trees high into the sky. Playing catch with a dog. And get out there with them. See some wild things in nature. Be a wild thing in nature. Get moving in the fresh air, under the warm sun. Let your skin darken and your hair lighten from a few hours in the sun. Get dog-tired. Then come home to tell some tales at the dinner table. Staying indoors is toxic in many ways. For more information on that, here’s an interactive website on the toxins in the home. The good news is that simply being outdoors a little bit each day is a prescription for better health, according to Harvard University. Another study shows that jogging outdoors is twice as healthy for you as jogging the same amount indoors. We were not made to be indoors with our faces in front of screens all day. We NEED fresh air, sunshine, dirt, rain, green plants, flowers, and movement in our life daily. It’s essential for all aspects of health: physical, mental, emotional, and spiritual. Playing outdoors is essential for growing up well.